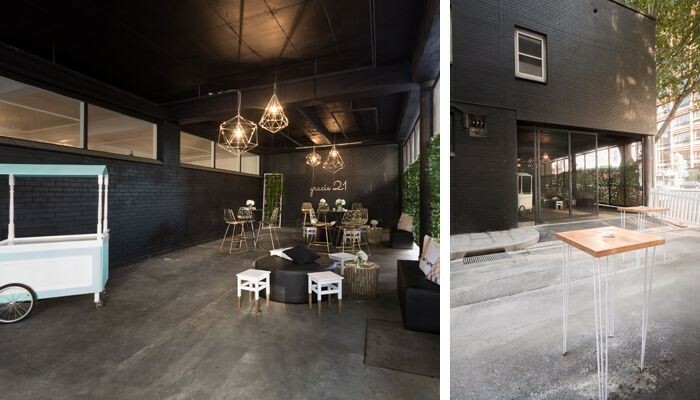 524 Flinders is a modern event space in Melbourne’s CBD. The architecturally designed venue boasts clean white finishes, high ceilings and 300 square metres of super-shiny concrete floors. 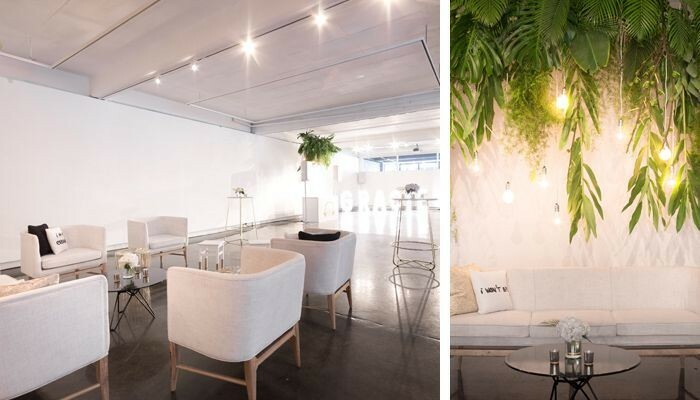 Whether you’re launching a new brand or product, or need to organise a corporate event or cocktail function, 524 Flinders is one of those spaces that offers a world of possibility for a truly memorable event. Ask us how we can organise your next function at 524 Flinders. The warehouse space is in close proximity to Flinders Street Station, and all the city has to offer. The venue incorporates a large undercover outdoor area that overlooks Flinders Street (ideal for those needing a little fresh air). The light, bright space is the ultimate blank canvas: create an event that uses the whole space, or achieve a more intimate feel with props and soft furnishings. If you’re looking for a generous space to feed and imbibe in a central location, you can’t go past 524 Flinders.